Are you looking to start your journey into an artistic career? We are one of just twenty Founder Colleges of the National Skills Academy, Creative and Cultural’s network – recognition of the quality and specialism of our Creative Industries training and facilities. "Aylesbury Campus offered a more exiting visual arts course than other surrounding colleges. I chose to study visual arts because I wanted to study art and go into the illustration industry. I have enjoyed being able to do digital illustration and learning new skills. 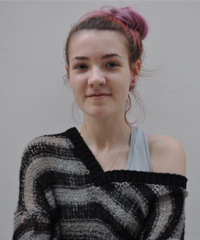 After this course I want to take a year out of education then go to university to study art."